Welcome talented mystery and humor author Miss Mae to the Seeds of Inspiration Event! Miss Mae is all about romantic mysteries. Her alter ego, M.M. also has her first children’s/humor book, “Ahoy Gum Drop!” In this slightly cracked tale, readers are introduced to I.B. Nosey, the ‘official unofficial’ reporter. To learn more about cyberspace’s only Pukelitzer Award winning interviewer, visit Feeling Nosey? or watch I.B.Nosey's Video. 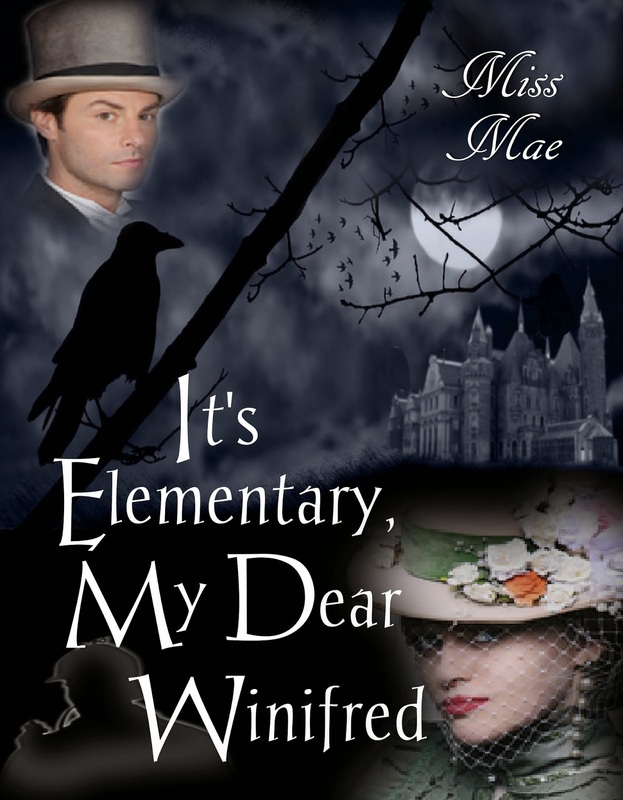 After reading Miss Mae's fun story of what inspired her to become an author, please enter to win MM's e-book, It's Elementary, My Dear Winfred, by leaving a comment. Drawing ends at 12:01 a.m EST Sunday. As a young girl growing up in the 1960’s books were my hobby and passion. I loved flipping through the pages of a Nancy Drew, Donna Parker, or Trixie Belden mystery. Ooh, I dreamed of having adventures just like these glamorous heroines! Their exciting stories whisked me away from the boredom and loneliness of being the baby sibling of an older brother and sister (and rarely welcomed inside their ‘mature’ circle of friends). I, a mere fifth-grader, inspired with eagerness to become a part of the high school ‘crowd’ even for one night, grabbed a pencil and some paper and conceived my first story, Midnight Horror. It was all of ten pages long, and entertained us for maybe half an hour. Before you ask - no, no one was good enough at reading the lines for them to later grow up and become a famous actor. But the thrill of writing that little story ignited a spark within me and set me on fire to pen my own books and to create my own mystery solving heroines. Hopefully, none of them have been a horror! Thanks so much, Miss Mae, for participating in the Seeds of Inspiration Event. 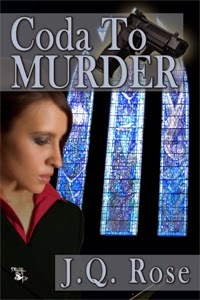 Please note: Readers, Coda to Murder, my mystery e-book, is FREE. Add the book to your shopping cart, type in capitals CODA, save, then finalize the order. FREE March 28 through April 4. All formats are available for your reading device. I didn't realize you were also the baby of the family. I had an older brother and 3 older bossy sisters. I read Nancy Drew mysteries and Trixie Belden books. I loved reading how you mentioned acting out a play to your older brother, sister, and their friends. A writer was born! An awesome mystery writer too! I've enjoyed reading your well-written mysteries and they always keep me guessing and in suspense as I turn the pages. Hi Diane, I'm the baby of the family too with 2 older brothers. We need to start a club! Thanks for stopping by. How fun to find out how it all started, the seeds to Miss Mae's wonderful books and her fun character I.B. Nosey. I've read Miss Mae's work and couldn't stop turning the pages. Thanks for sharing. How fun to learn how it all started for Miss Mae and her wonderful books and quirky character, I.B. Nosey. Her writing kept me turning the pages. Thanks for sharing. What a charming story! I'm the oldest of 4, and my youngest sister is 11 years my junior. Instead of shunning her, us older sibs tried to encourage her imagination. We spent countless hours making up characters and acting out scenarios. She's now an elementary teacher with a specialization in literacy. Oh, and I love Trixie Belden, too! HI Miss Mae: It was interesting to read of your beginnings. I'm afraid I was an only child but I was inspired by the TV show, Captain Video, and I joined the Science Fiction Book Club very early on. I have thoroughly enjoyed your novels. As you know I've read three of them. I don't need in the drawing as I've read Winifred and really enjoyed it. I hope you will see your way to crank out another one. Thanks, J.Q. for having this interesting lady on your site. Hi Miss Mae! I enjoyed your blog. You know how I love I.B. I don't think I have read your books yet! Need a reviewer let me know. Miss Mae, you are full of surprises. Thank you for letting us in on some interesting tidbits from your childhood. I would love to see the horror play you wrote, enacted. Did those teenagers keep returning for more acting lessons? And ten pages? That's a mean feat for a 10-year-old. Those childhood years set in motion the platform for you becoming and awesome and talented suspense writer. We have no idea where our childhood fantasies and pastimes will take us. That's worthy of reflection. Hey Everybody snuck in here while I wasn't looking. So happy to have you here, Miss Mae. I've been on IB Nosey's blog plenty of times. It's about time for you to get a turn to be in the spotlight too.! Welcome! Gail, thanks so much for stopping by. Quirky is a good word to describe IB for sure. What a hoot! Sorry, Heather B, you cannot be in the youngest kids in the family club. I knew you'd be a wonderful big sister. Darcy, I remember acting out stories and putting on "shows" for my grandmother with my older brothers. Fun times. I hope kids still do this instead have their nose in the video games. Thanks for visiting. Larry, I was thrilled when MM said she'd join in on this event. And look at all the glowing reports on her stories...well deserved I might add. I'm sure Captain Video was an inspiration to you too. Sounds like a show that should be on nowadays. Thanks for coming by. Hello Diana, glad you spotted Miss Mae over here and stopped in to say hi. 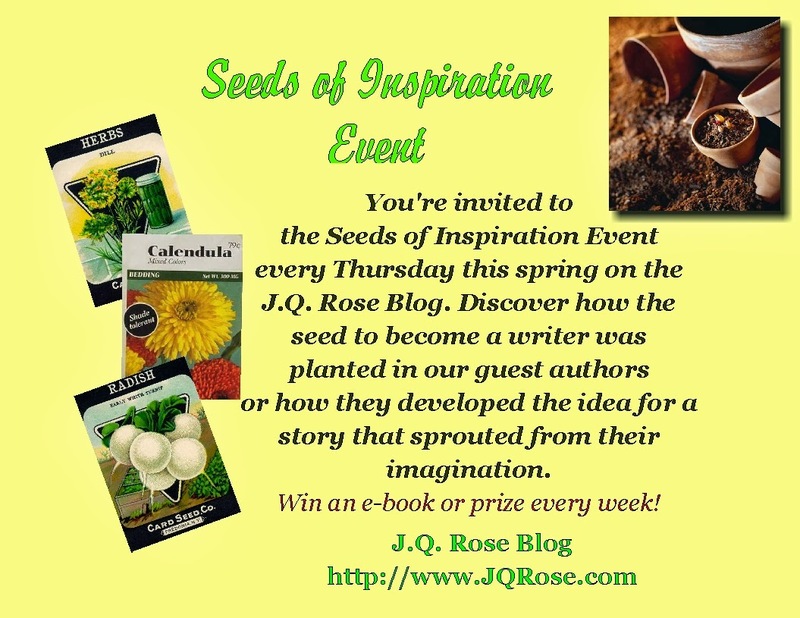 Laureann, I've had a number of the guest authors tell me how much they enjoyed looking back at the seeds planted early in their lives and sprouted into their writing careers. It's a lesson for all of us to realize how we are all role models for the young (and young at heart) Thanks for visiting today. Ah, such fun. I remember acting out plays with my sisters (one older, one 4 years younger) and my cousins. Thanks for sharing, Miss Mae. I enjoyed I.B. Now you've done it! I'm gonna hound you till a write a play! Roseanne and Gail, Glad to see ya'all. IB is a hoot! And yes, his zany author interviews are like reading a screen play. I can see all the action as if I'm watching a movie. I think MM has a lot of fun dreaming up all those crazy situations he gets into. Congratulations, Diana. 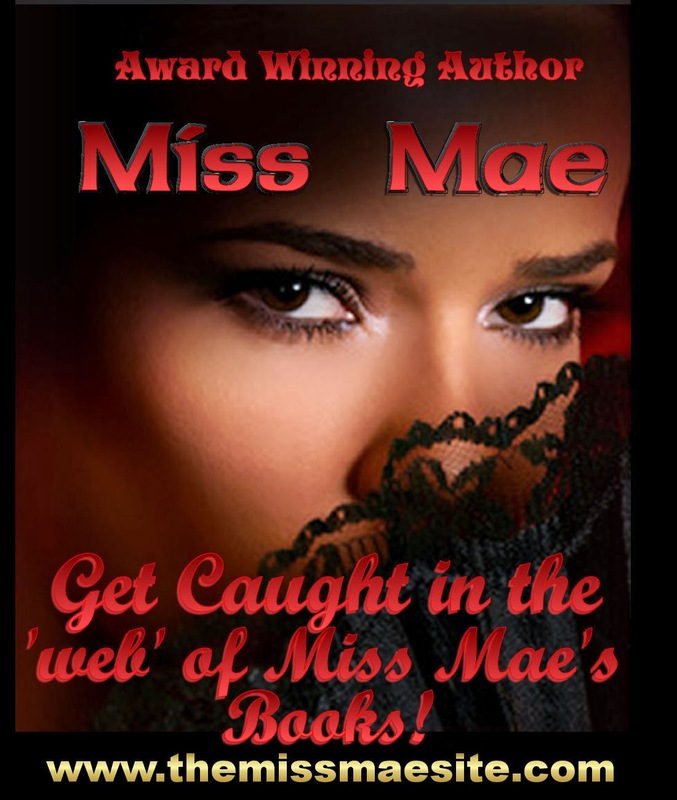 You are the winner of Miss Mae's ebook. Thanks so much for visiting.